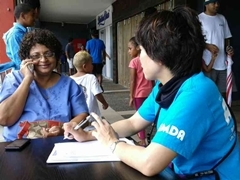 The first medical team from AMDA arrived in Fiji in the evening of 20th March. 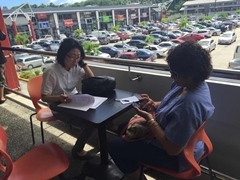 The team had a meeting with AMDA’s local counterpart in Fiji. According to Our local counterpart there were no severe damage in Fiji, while Vanuatu, Tuvalu and Kiribati were severely affected. The government of Tuvalu declared a state of emergency on 13th of March, and officially sent a request of relief-assistance to New Zealand High Commission in Fiji. Tuvalu and Kiribati have a limited access of air transportation, and are vulnerable to rising-sea-levels even in ordinary times. According to a local radio station in Tuvalu, outer northern islands of the country had experienced significant damages. For example, roads remain buried under rubble and schools are closed due to the disaster. 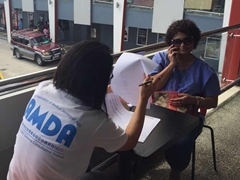 AMDA team in Fiji are trying to gather more information regarding the needs and planning some relief activities in Tuvalu.